The Linux Kernel Runtime Guard is a free and Open Source project distributed primarily in source code form. You can download it and prepare custom build by yourself. LKRG protects system by comparing hashes which are calculated from the most important kernel region / sections / structures with the internal database hashes. Additionally, special efforts have been made to individually protect all extensions of the kernel (modules). To make the project fully functional, the module should be initially loaded on a clean system – e.g. directly after installation or after booting clean system. At this moment it is possible to create a trusted database of hashes. Prevent unsupported modifications of the Linux kernel – it forces “rules” which need to be followed to develop extensions/extra functionalities for the Linux Operating System. These “rules” are an official Linux <abbr>API</abbr> which must be consumed to provide specific functionality instead of relying on unsupported modifications of running kernel (patching). Patching the kernel has direct impact on the security, system stability and performance. This project was never designed to be a perfect solution (it can be bypassed) and the weaknesses are known but the correct usage may significantly improve security, system stability and performance of the entire <abbr>OS</abbr> / platform. Support LKRG at the basic level. Support LKRG and make me feel that project is worth of doing. 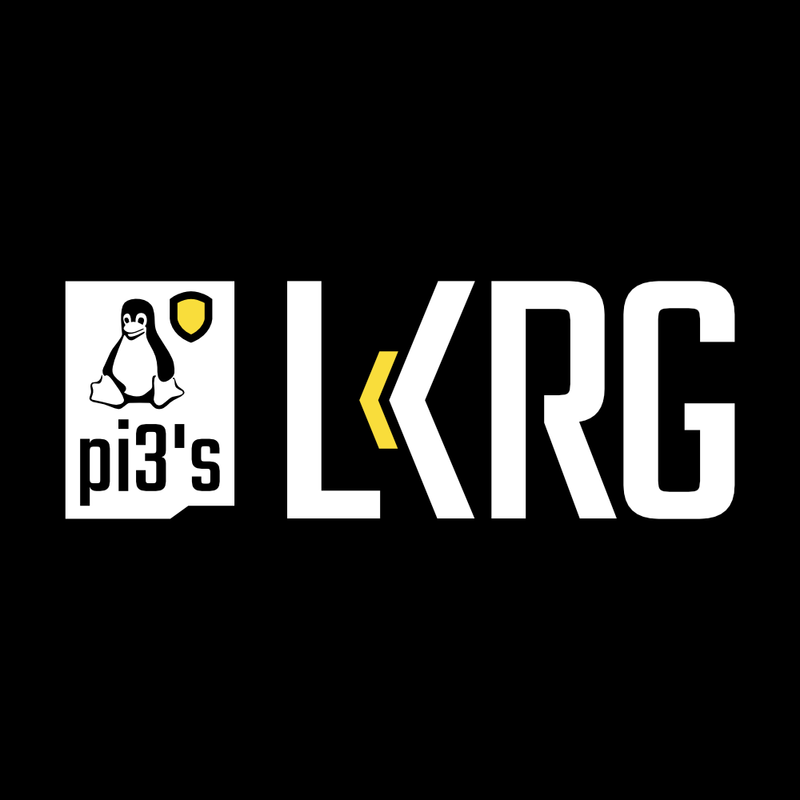 Support LKRG and force me to keep the project updated with new kernels. *the listing will only stay while Patreon support continues, and is removed when support is cancelled (or when we stop accepting donations). - in the LKRG official wiki website your logo will be listed as official sponsor.